There are various occasions where we offer gifts to family members, friends, and special someone. When shopping one, normally it involves thinking about the gender of the recipient. Let's say your recipient is a woman, so what tasteful present you could offer to her? Probably you will be thinking of jewelry and cosmetic products, but why not consider a personalized bag? This is not just cheaper, but also very useful. There are different types of bag to choose from, including tote bags. 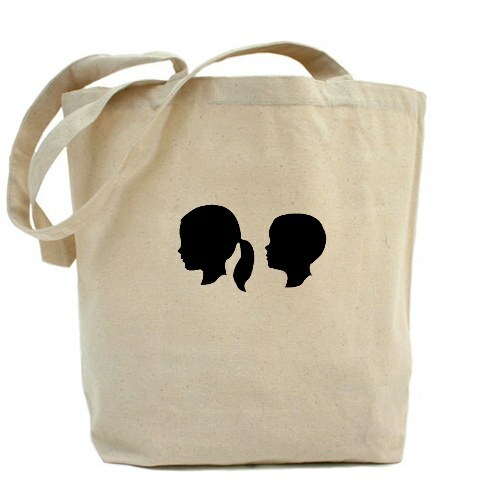 You may consider a tote bag as one of the options for your recipient. You can purchase a nice tote, which can be designed by yourself or someone can design it for you. If you have enough time to design the bag yourself, the better because it will be more meaningful,more personalized, and more thoughtful if you decide to do it on your own. The thing you need to consider when designing a tote bag is to come up with a really good design, which is actually easy. Search online to or fashion magazines for some ideas that you can follow. Or, use your computer to experiment different colors, patterns, and shapes for the tote. After you have chosen a style and design for the tote, the next step you should do is to decide on the materials you want to use and whether the bag will have lots of pockets or will only have a few. Don't forget that to make it look really good, the interior of the bag should match the color or design that the exterior has. When everything is done and ready, simply forward your personal design to either online or offline maker. These businesses exclusively making custom bags depending on their clients' favorite design. Expect that they will make the tote based on the design and style you provided them and with quality craftsmanship. There are thousands of businesses that specialize on handbags. If you don't have time to create and design a tote on your own, you can shop one at your favorite online store or specialty boutique. When you choose a pre-made tote bag, however, choose not according to yourself but according to your recipient. There are lots of good companies that can be able to provide you with different options of fabrics and/or materials that will be used in making the tote of your choice. Also, there are ready-made tote bags that you can choose from, where your created design will just be imprinted on them. Personalized tote bags can also be imprinted or embroidered with names or initials of your recipient. A bag that has a name can easily be distinguished, perfect during traveling or even when just on a bus or at some places where bags and other carry ons must be deposited to the luggage counter. Aside from tote bags, evening bags, travel bags, backpacks, and other more can also be personalized based on a personal preference. These are widely available online at cheaper prices.